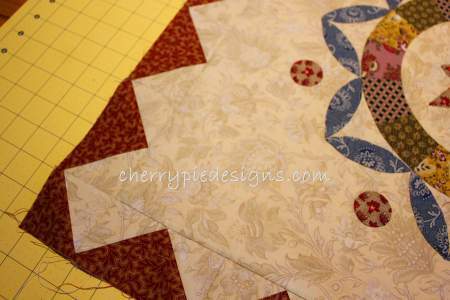 A few weeks back I posted an image of a new quilt that I have started….”Chatsworth” I have decided to call it. 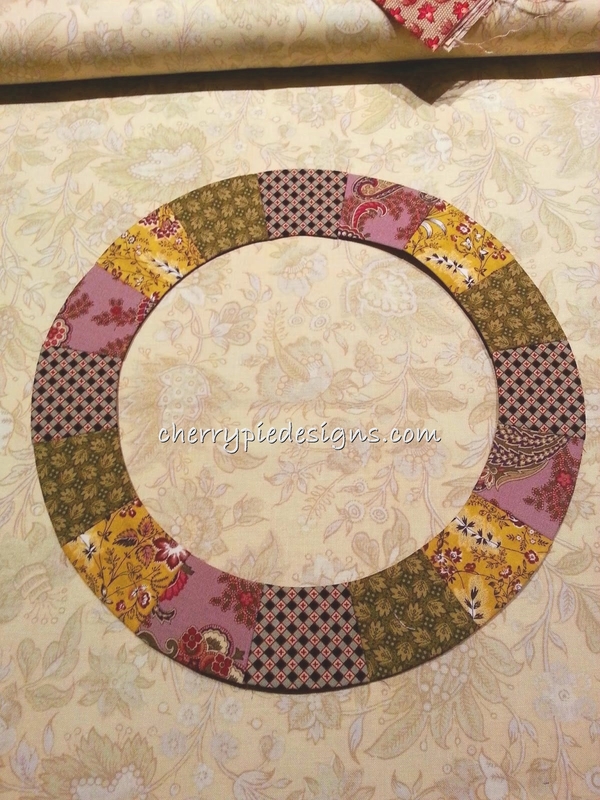 I began with a central paper pieced circle…. Followed by some “Secret Centre Sewing”….. I am happy now that this border is in place…..I had hand pieced this border the first time….however it just didn’t want to fit….so onto the next option and it fitted just perfectly. Today I will be outlining and making fabric choices for the next border…..Needle turn applique…. Thought I would leave you with this image of a sunset through the Jacaranda trees I took at my place some weeks ago….